For small or large runs, a high level of finishing or standardized jobs – if you want to be economically successful in the world of industrial printing, you need the very latest technology. The Speedmaster XL 106 offers the most innovative solutions, tailored specifically to your requirements. For traditional commercial or packaging printing, for label printing or web-to-print, this press guarantees you maximum productivity combined with top efficiency and total ease of operation. The Speedmaster XL 106 has the highest level of automation on the market. Get the jump on industrial printing production of tomorrow with Push to Stop: for the first time in the history of offset printing, you can now change jobs fully automated – from the last to the first good sheet, right up to the start of production. The unique, job-oriented Intellistart 2 assistance system will revolutionize how you change jobs, with efficient job preparation and automatic generation of time-optimized job change programs. Intelligent automation, intuitive operation, top quality, and maximum productivity and cost effectiveness make the Speedmaster XL 106 your success story in industrial printing. Ease of operation paired with intelligent automation, unique assistance systems, and excellent data management create the perfect conditions for sustainable efficient production. Find out more. AutoPlate XL for fully automatic, simultaneous plate changes. 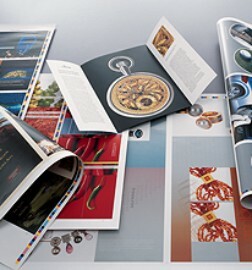 Prinect Inpress Control 2 spectrophotometrically measures and controls the color inline during production. The register is checked at the same time and readjusted if necessary. Enables the inking unit to be washed while other makeready processes are ongoing. Automatic monitoring of the ink fountain liner condition. AutoPlate Coating Pro for fully automatic coating plate changes in the last coating unit in under 1.5 minutes. By providing the new coating plate and removing the old plate on the fly, no time is lost. Time can also be saved in combination with Hycolor Multidrive by performing the makeready operations in parallel. 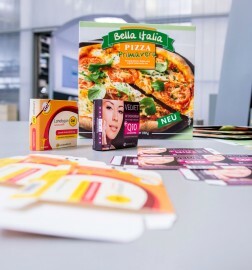 DryStar LED: Diode technology for the most energy-efficient production of web-to-print products and short runs with and without coating, including on special substrates, without the use of ozone and mercury. InsertStar, tape inserter in the delivery with counting function and marking function for waste sheets, integrated on the front side, driving or operating side. The paper waste ejection prevents defective sheets reaching delivery or postpress in the first place. Manual sorting is a thing of the past. Various components for automation of material handling with a view to streamlining the production workflow between the warehouse, pressroom, and postpress. The system can be adapted to individual needs. It encompasses rotating conveyors, buffer zones, pile change units, and conveyors with integrated empty pallet transfer. Speedmaster XL-Technologie sets the standards in the production of inmold labels with rotary die cutter Speedmaster XL 106-D.
A differentiated purchasing behavior results in a very broad range of offers and demands solutions from the supplier.